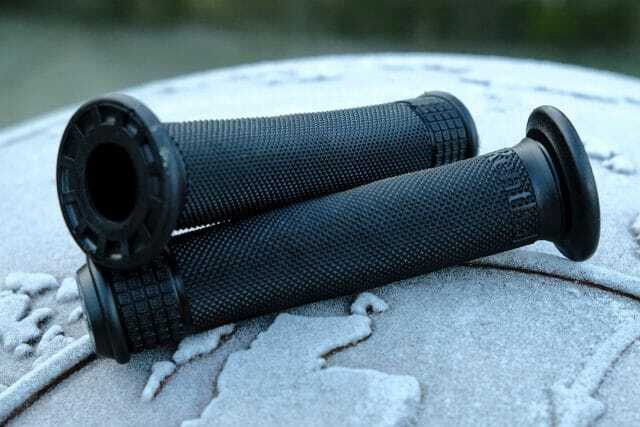 One of my favourite grips of recent times has been the ultra-tacky, er, Ultra Tacky grip from Renthal. It’s a lock-on grip made of the stickiest rubber I’ve ever encountered. However, not everyone loves a lock-on and so Renthal has been working on a non-lock-on version for a couple of years. You’d think it was simple, but one of the issues is making a grip that grips the bar with the same tenacity as a lock-on does. 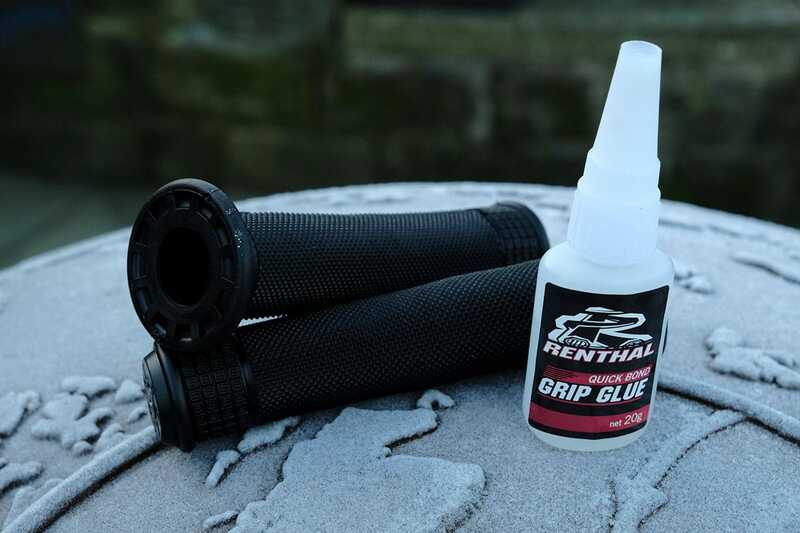 Renthal has cast around for solutions and has ended up producing its own Grip Glue to keep the grips in place. They’re even grooved for adding extra grip wire of you really, really, REALLY don’t want your grips going anywhere. 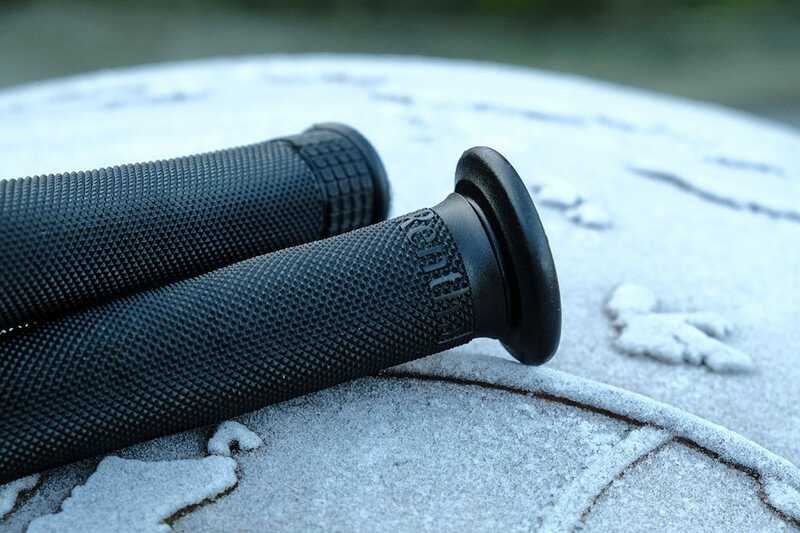 Even in the freezing cold, these grips are as soft and tacky as a wine gum in the bottom of your pack. Diamond pattern allows an unobtrusive feel, without needing a particular orientation. 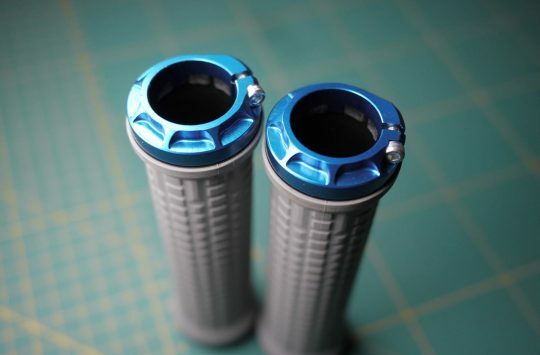 Just how tacky are these Renthal grips? You know those sticky rubber octopi you could buy as a youngster, where you could throw it at a window and it would stick to it? That grippy. If you haven’t a clue what I’m on about, then just imagine some of that soft licorice that’s been left on the car parcel shelf on a warm day. That sticky. ‘Pick up your hand and move it, rather than sliding along to change position’ kind of sticky. 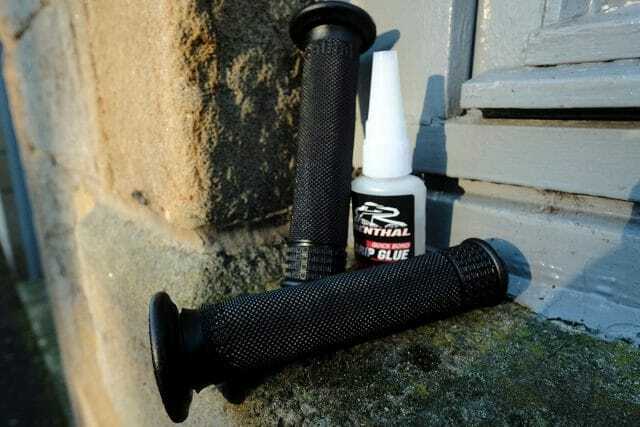 You’ll need Renthal’s Grip Glue for best results. £3.99 for a small tube. £7 for the rapid stuff. And just like not everyone loves the amount of grip a FiveTen on a Vault pedal gives, not everyone will want, or need, that amount of grip. However, if you’re riding in the wet, in the mud, bare handed (you’ll end up with black palms) or just don’t want to let go, we reckon that these are going to be well worth a look. They’re out about… now! 135mm length should give enough for decent control while low flanges don’t interfere with shifters. 135mm? That used to be considered a medium-length stem in the 1990s! Following demand from our World Cup DH and EWS riders, we have developed this Ultra Tacky™ compound version of our popular Push-On grip. 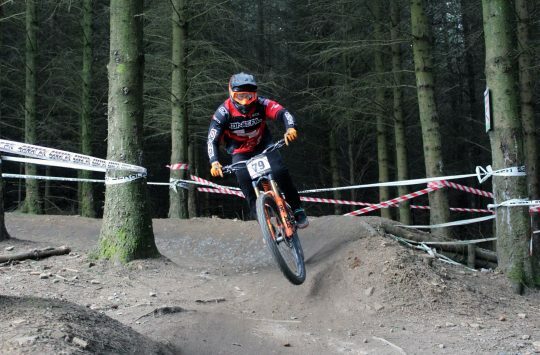 Developed over the last two race seasons, the grips has been used with great success. 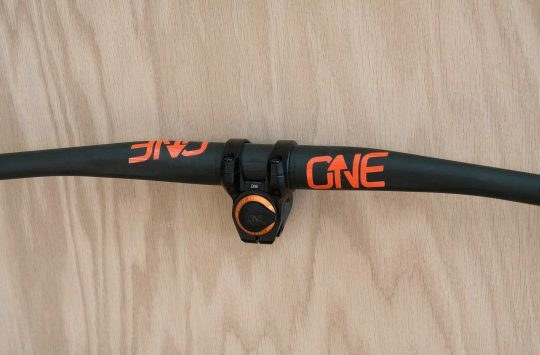 MS Mondraker athlete Danny Hart used this grips to secure numerous DH World Cup wins and a World Championship. And in EWS, Commencal Vallnord’s Cecile Ravanel has totally dominated the 2017 season, using the Renthal Push-On Ultra Tacky™ grip. Renthal’s unique and exclusive Ultra Tacky™ compound constantly produces and renews a sticky surface coating. The resulting adhesive grip surface massively increases control and reduces fatigue. If the grip loses its stickiness, simply wash with clean water and allow the grips to air dry to re-activate. The sticky surface remains active in wet or dry conditions and works equally well with or without gloves. The Ultra Tacky™ compound gives ultimate control in all conditions. The dual stage pattern of the Push-On grip offers maximum grip, performance and durability, whilst retaining rider feel. Soft plastics many times means phthalates = not good for you. They’re surprisingly durable, given how soft they are.